The new 6306 Series Inserters process at a rate of up to 3,800 pieces per hour and up to 40,000 pieces per month. They have 3 feed stations in a variety of configurations. 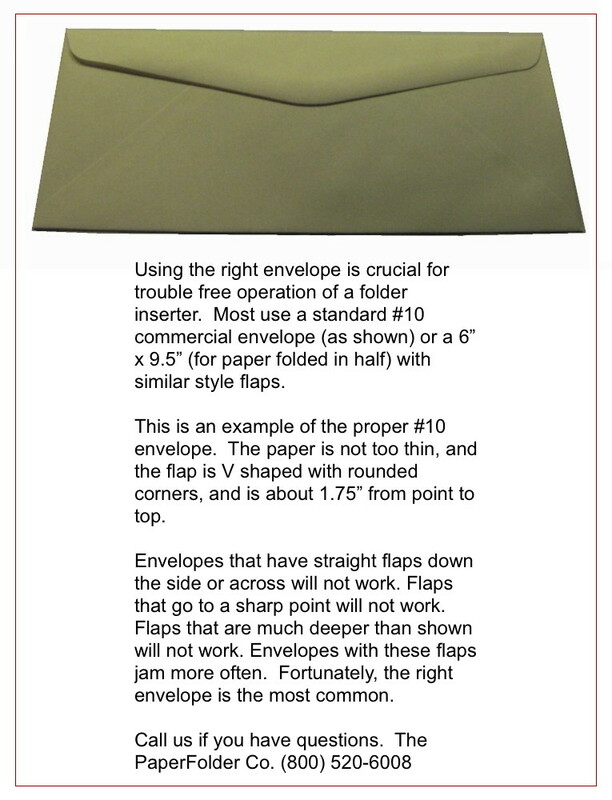 Standard feeders accommodate up to 325 sheets each, while the envelope hopper holds up to 400 envelopes. The vertical output stacker, now standard, holds 500 filled envelopes. It is quiet and easy to use. High-capacity configurations include a Document Feeder that holds up to 725 sheets, and/or a Production Feeder, with a capacity of up to 325 Business Reply Envelopes or short inserts. It has a 7" full-color touchscreen control panel, with 50 programmable jobs, and can fold up to 8 pages in tri-fold and up to 10 pages in half-fold modes. Its versatility allows for processing forms of various lengths and thickness all at the same time. The AutoSetTM feature automatically sets the paper length, paper thickness, fold type, envelope size and has double document detection. The 6306 Series is available in 12 configurations to meet your specific processing needs. A variety of documents up to 14" in length, including checks, invoices, newsletters and reply envelopes can be inserted in almost any configuration. The 6306 Special models have a special feeder that allow for the insertion of glossy and thicker documents. If the number of pages of your statements or invoices vary (e.g. 1 to A, 4 to B), you need a bar code (BCR) or optical mark (OMR) system to put them into the right envelope. There are 2 parts to this. First, you print out the pages using software that puts the marks on all pages, and then you put them into a folder inserter that has a bar code or optical mark reader. Each page is collated with the others, and the set put into the envelope. We offer both parts of the system. Our MailDoc software is installed on your computer which takes the file you print using your regular program, and then puts the marks on each page. Your folder inserter is equipped with the optional bar code or optical mark reader, and puts them in the correct envelope automatically. Simply load the documents into the feed hoppers and start. The drop-in feed system and easy access to paper paths increase efficiency and maximize output, while its quiet operation is ideal for any environment, from mailroom to office. Feeders can be re-filled on-the-fly allowing for continuous operation. Cascade Mode allows you to sequentially feed from multiple feeders. When one feeder empties, the next automatically starts feeding, for a total hopper capacity of up to 1,050 sheets. The 6306 Series has double document detectors located at each feed station to ensure document integrity. You can be sure the documents in the envelope are the right ones. Production Feeder holds up to 325 Business Reply Envelopes. Prices on these models start at $20,825. Model shown has the optional high-capacity output stacker and sheet feeder. When you place an order for a FD6306, we want to make sure that your jobs and the stock you use can be handled by the machine. We discuss your process in detail, make any necessary recommendations, and have you send samples of your jobs to the manufacturer. They are tested upon receipt. When approved, Formax will send you a written guarantee that the tested materials work in the machine. Upon payment, the FD6306 folder / inserter is sent from the factory. It normally arrives within 10-15 business days. It comes with a 90 day on-site warranty, which includes setup and training by a technician from your local area. If you have a problem during the warranty period, your local technician must be on-site within 24 hours of your call. All parts and labor are covered. You can also purchase an annual on-site maintenance agreement that works the same way. All non-consumable parts and labor are covered, and 2 general maintenance visits per year are included. The annual cost of the agreement starts at $2083 for the base model, the Standard 3.